Everyone is weighing in on Nike's polarizing ad starring Colin Kaepernick. Nike's new Colin Kaepernick ad that debuted on Monday is short and sweet - a black and white photo of Kaepernick's face along with the caption, "Believe in something. Even if it means sacrificing everything. Just do it." For as simple of a message as that is, it has been equally as powerful. Both supporters and Nike boycotters have taken to social media since the ad was introduced, including Kaepernick's former teammates and opponents, as well as other athletes, celebrities and politicians. 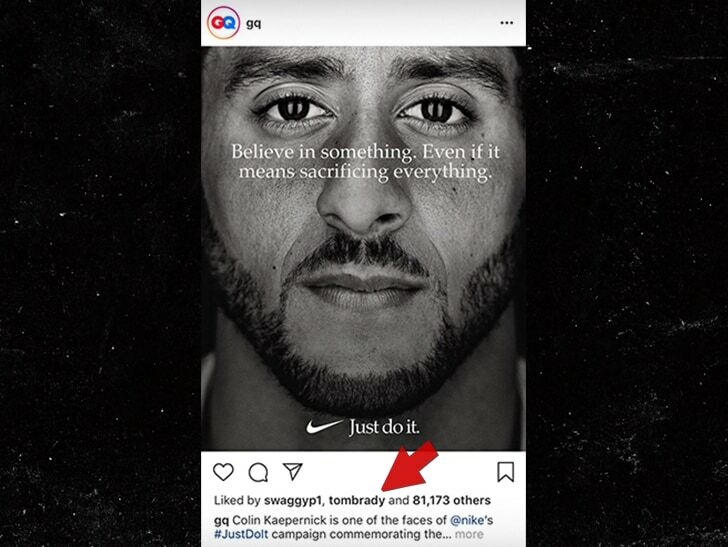 Several outlets shared the ad on their social accounts, including GQ Magazine, whose post has been liked by over 100,000 people including New England Patriots QB Tom Brady and Golden State Warriors guard Nick Young. Of course, for every show of support there was a response from some dope cutting the Nike logos off of their socks or burning their Nike trainers. In fact, tens of thousands of people are now threatening to boycott Nike in response to the ad and reports show that Nike shares were marked 2.5% lower in the opening minutes of trading on Wall Street, the biggest decline since July 3. Check out some of the reactions to the polarizing Nike ad in the tweets and IG posts embedded below.